-4 Black & Copper Springer NOT DNA BRAND! 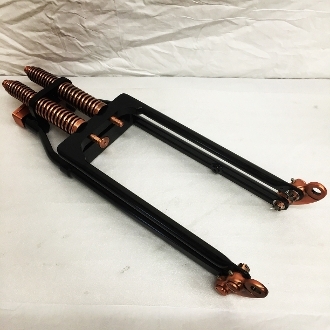 Our Products >> Springers/Front End parts >> 4 Under Black & Copper Springer NOT DNA BRAND! FREE SHIPPING! Black and Copper -4 Springer front end. These fit with our Sportster Hardtail Kits really nice, setting the frame down low without having to rake the neck. Also fits big twins. Does not fit 2004+ XL models. 4 Under Black & Copper Springer NOT DNA BRAND! FREE SHIPPING!